February | 2010 | 50 Westerns From The 50s. 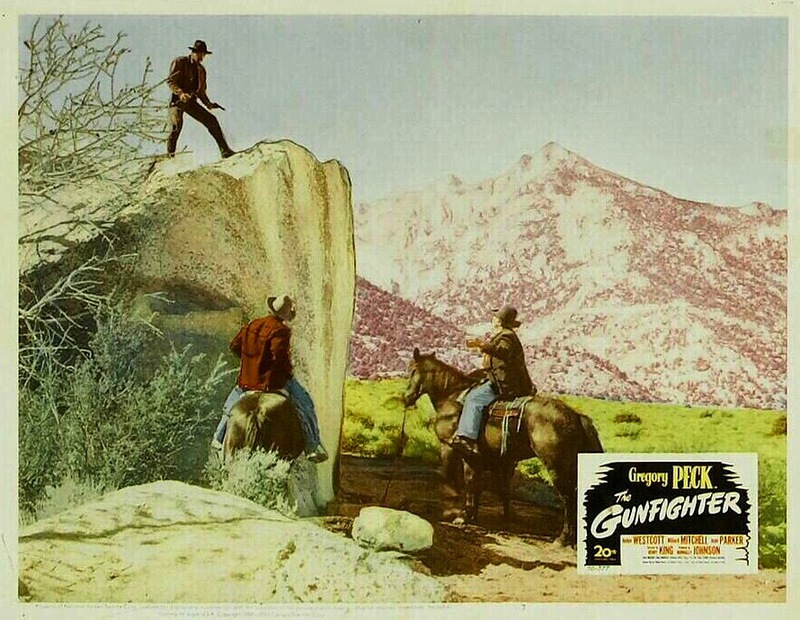 Here’s a shot from The Gunfighter (1950), a film often listed as one of the first “Adult Westerns.” That’s Gregory Peck atop the rock. 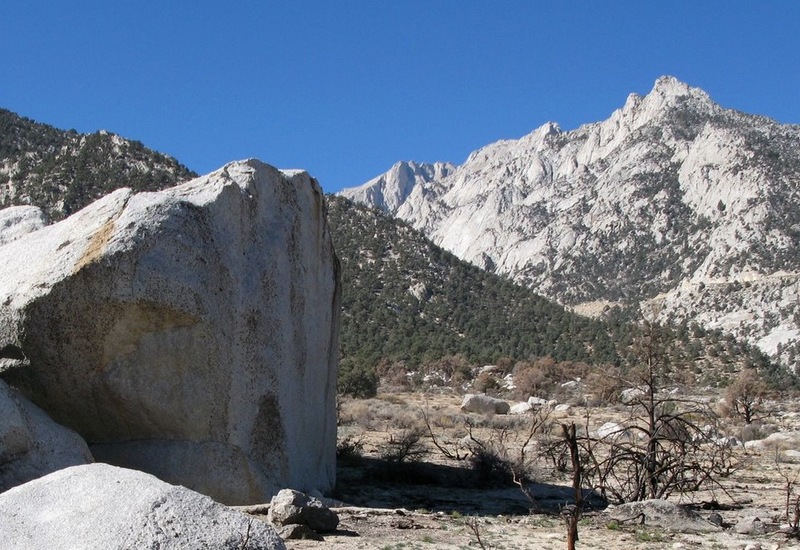 And below, taken from The Great Silence, what that Lone Pine location looks like today. The watering hole they created at the base of the rock is still there. My wife and I were married 12 years ago today in Las Vegas. We made our way to a dude ranch in Wickenburg, Arizona, for our honeymoon. Today seemed like a good day to put it up here, even if it’s not from the 50s. Fittingly, we’re going out for steaks tonight — smaller cuts than those at Peter’s Place. I posted this last night, or early this morning, and Colin at Riding The High Country sent a well-wishing comment. (Thanks Colin!) That somehow got me thinking about people’s relationships with certain films — and prompted me to revisit this. 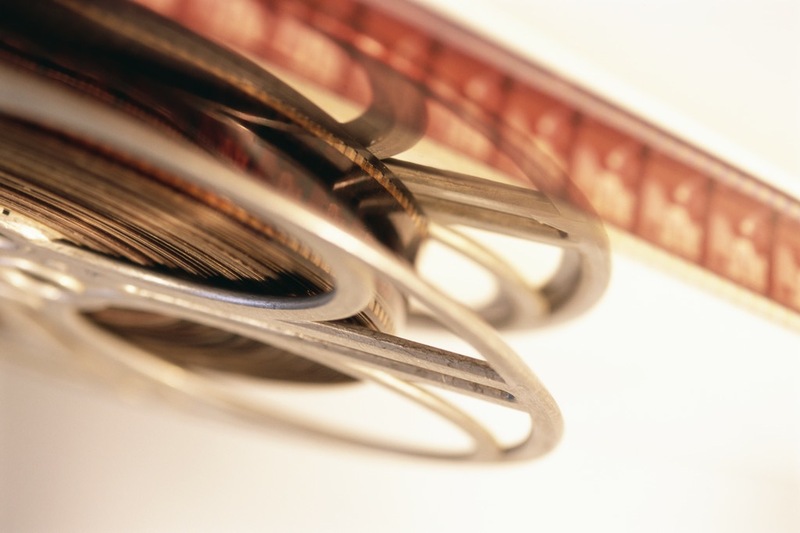 It’s a great thing for a couple or family or group of friends to have a connection to a film, much in the way couples have Their Song. Since I grew up in a house full of movies, my family has lots of pictures that feel like old friends. 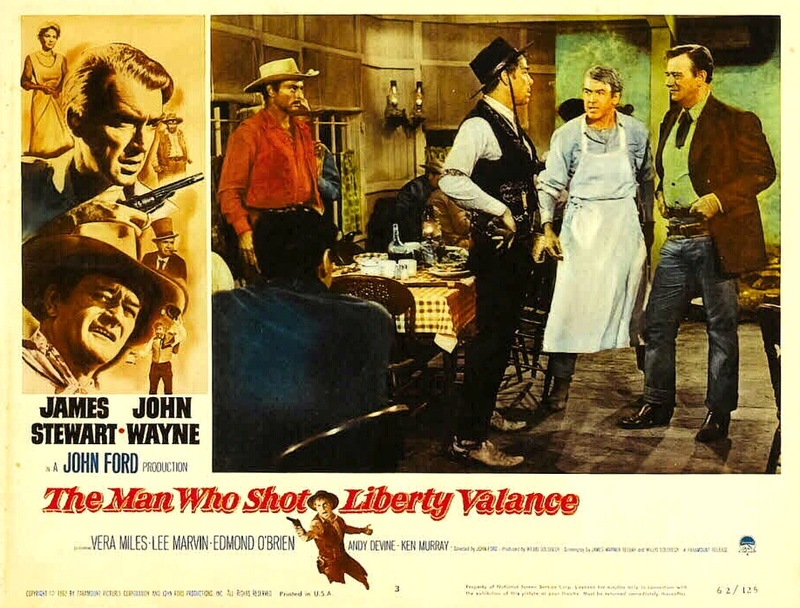 Of course, for my wife and I, The Man Who Shot Liberty Valance is the cream of the crop. Just saw on Self-Styled Siren that the For The Love Of Film Blogathon raised over $10,000 for film restoration. I’m smiling as I type this. If 10 cents of that came from my post, I’m overjoyed. And even if it didn’t, I’m stoked to be in some small way associated with such an undertaking. And if there’s another blogathon next year or whenever, I’m in — with a better, more thorough piece. About Westerns, of course. 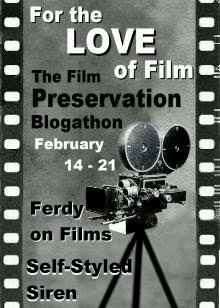 Been reading quite a bit of the stuff that has grown out of For The Love Of Film: The Film Preservation Blogathon. It’s quite impressive, and they’ve proven their case time and again that there’s a real need to preserve American films. I don’t have the chops to tackle such a thing officially, so I’ll cheer them on from the sidelines — and encourage everyone to donate. 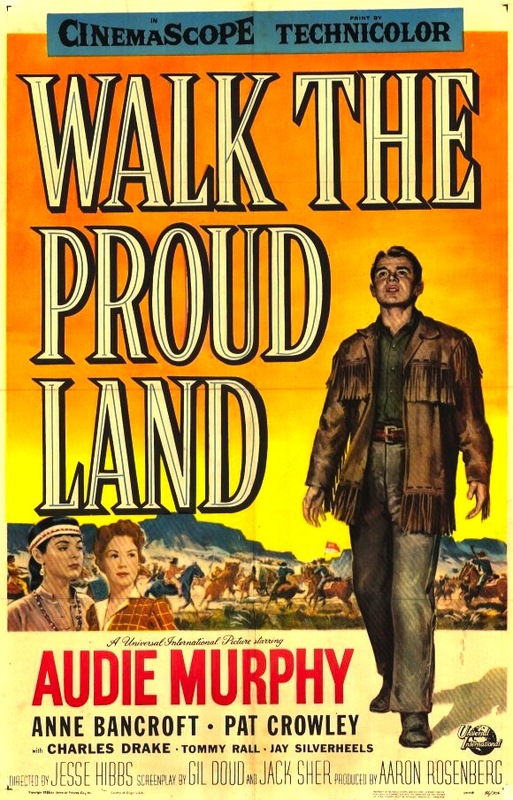 Many 50s Westerns (and lots of other genre pictures) were produced by small independent outfits, and regardless of their legal status, many of these films have had their negatives lost or damaged over time. You’ve probably heard the horror stories — the camera negative’s been in a basement in Encino since the picture quit playing drive-ins back in ’59, then the producer dies and his kids toss the whole thing out along with a musty old stack of Variety. That kinda thing. 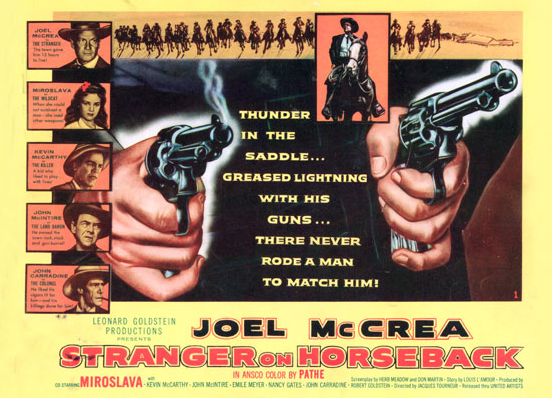 I’m not sure what the actual story is on Stranger On Horseback (1955), but it might not be too far from that. 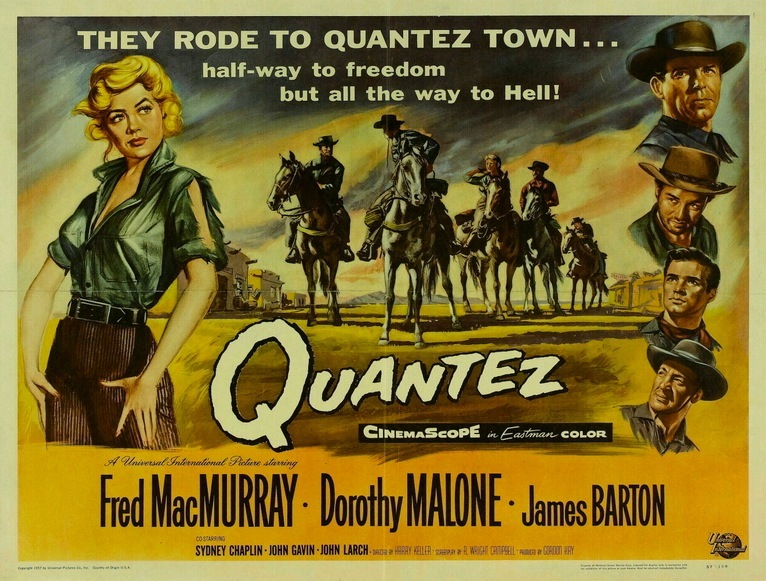 Joel McCrea and producer Leonard Goldstein cooked up a deal where McCrea did it for 25% of the profits. 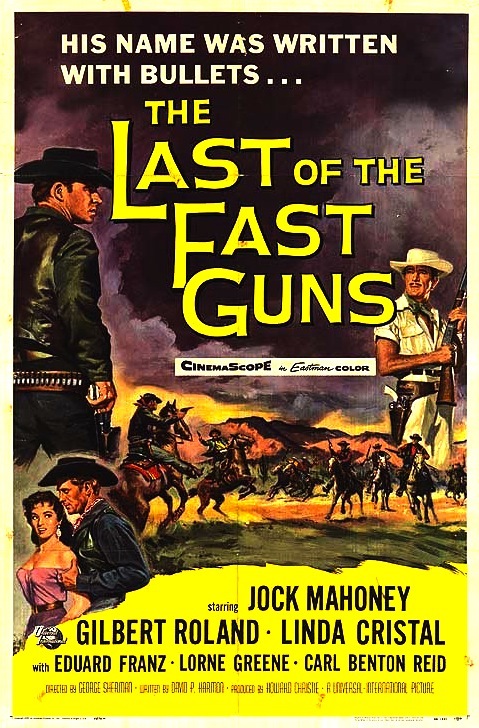 It took a while, but McCrea made a bit of money off the 66-minute, Ansco Color gem — directed by the mighty Jacques Tourneur. Flash forward 40 years or so. 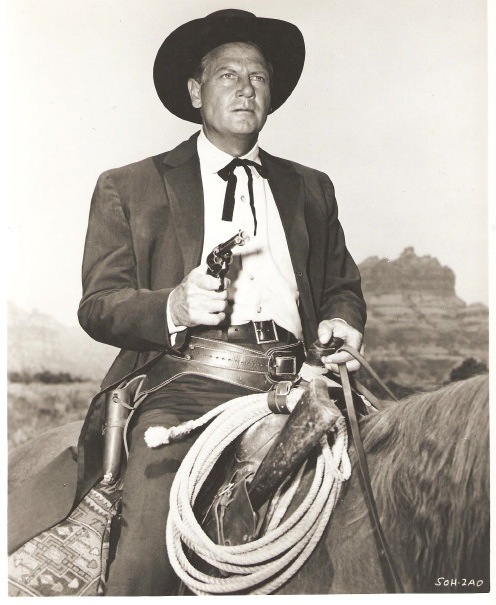 McCrea, who passed away in 1990, is a Western icon. Jacques Tourneur has gained quite a cult following, thanks largely to Cat People (1942) and Out Of The Past (1947). But Stranger On Horseback hasn’t been seen in years. Not on television. Not on video. Nowhere. (I’ve heard crummy-looking black and white videotapes were floating around.) Finally, a 35mm print turns up at the British Film Institute and the good folks at VCI convince the BFI to loan it to them — and Stranger On Horseback is now sitting in the DVD collection of discerning Western fans everywhere. How’s that for a happy ending? To be frank, it could look better — a film in Ansco Color could always look better. But it’s available. We can enjoy it any time we want — something you can’t say for far too many films. Abilene Town — In Spain? 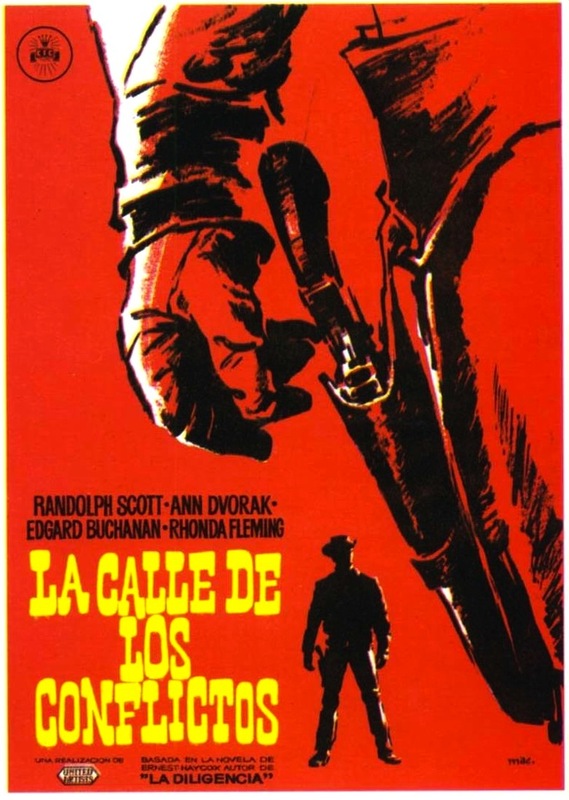 Here’s the Spanish poster for the Randolph Scott picture Abilene Town (1946). Reminds me of some of the terrific art done for Spaghetti Westerns a couple decades later. Now, check out the promotional piece below. 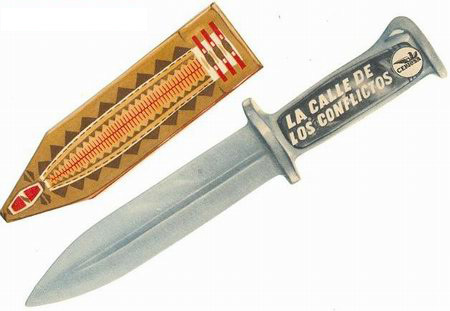 The title translates to The Street Of Conflict. This was on sale the other day somewhere out there on the World Wide Web. 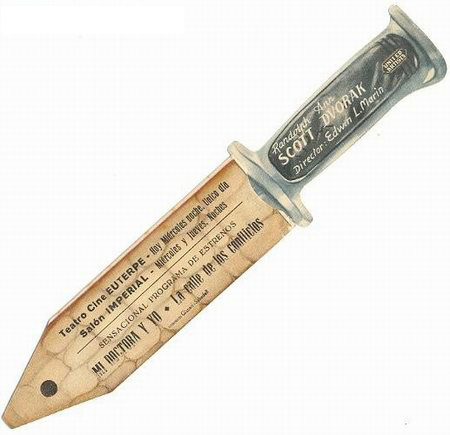 As cool as it is, a 60-year-old paper knife wasn’t worth the fistful of Euros they were asking. Even if Randolph Scott’s name is on it. So these scans will have to do. Abilene Town is a good one. And if you go looking for it, be careful. It’s in the public domain, and there are some really ratty-looking DVDs of it out there. I’ve tried a few of them with some pretty dismal results. Deep Discount has announced they are now carrying titles from The Warner Archive. To kick off the new arrangement, they’ve got a special promotion running through the 26th. Basic shipping is always free at Deep Discount, which also helps. 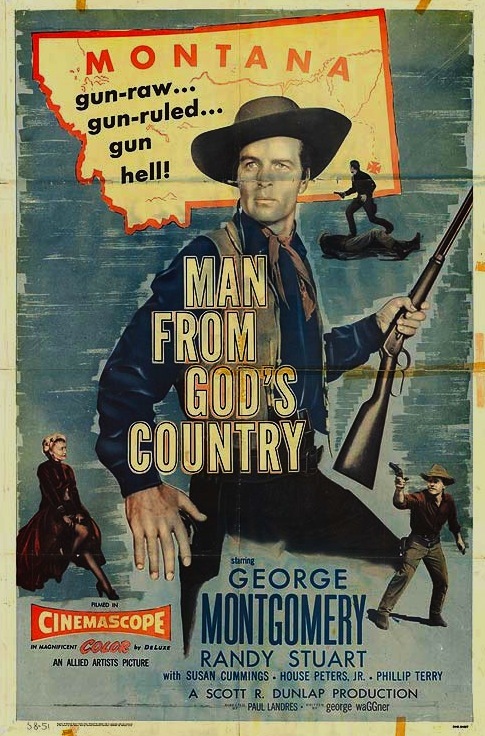 Here’s a great opportunity to catch up on those George Montgomery pictures you’ve had your eye on, like Man From God’s Country (1958).